Award-winning author, Deborah J Ledford has come up with an innovative way to finance her next project. 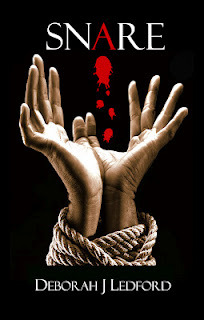 IOF Productions Ltd. established the NatAmGoGo crowd funding campaign on Indiegogo to produce and distribute the audiobook version of her latest thriller novel, Crescendo from Second Wind Publishing. The NatAmGoGo campaign will also benefit The Blue Feather Corporation, a Native American language and culture nonprofit organization. The professional audiobook presentation will be narrated by TV and film actress Christina Cox, who has appeared in a variety of films and television episodes including NCIS, Dexter, 24, Castle, Chronicles of Riddick, Better Than Chocolate and Nikki & Nora. IOF Productions Ltd will record Crescendo in November at Costa Mesa Studios in Southern California for download and to purchase as CDs for a December 2013 release. Contributor packages for the Indiegogo/ NatAmGoGo project include a PDF version of Staccato, the first book in the Steven Hawk/Inola Walela mystery series; autographed poster of the Crescendo audiobook cover signed by Christina Cox and Ledford; print versions of book series, including Staccato, Snare and Crescendo, signed and personalized by the author; a leather bound package containing all discs of the Crescendo audiobook with booklet signed by Cox and Ledford; a full content edit by Ledford of a manuscript up to 90,000 words, and hand-crafted jewelry created by a renowned Navajo, Hopi and Taos Pueblo artists. Ledford spent her summers growing up in the Great Smoky Mountains of western North Carolina, where her novels are set. She met Floyd “Mountain Walking Cane” Gomez in 2006 while doing research for her award-winning novel, Snare. Several years later, Floyd expressed the need to protect languages and culture on reservations throughout the United States, which is why he is establishing the Blue Feather Corporation. “The storytelling campaign is an effort to prevent the disappearance of Native American languages and culture,” says Arizona author Ledford, who is part Eastern Band Cherokee. Special guest Nakia R. Laushaul: "Life is Good . . . Now That I Finally Decided to GO Live!" I never imagined that the path to following your dreams would be littered with so much beauty. Of course the road gets ragged with its fair share of speed bumps, winding roads, and caution signals which we may also know as fear, cash flow and time. The truth is, those stop signs existed before and they will always exist. There is no way around them except to keep going. Keep believing. Keep dreaming. You see, when I wasn't doing much of anything but working to live, I somehow managed to move forward with my life. I actually thought I had a really good life. But this kind of passionate living is different; it has a wonderful, magical surreal appeal to it. Every word that I write, every motivational message I send out into the universe, every book that I sign, and every heart that I touch through my literary reach means something special to me. The stories that sat on a dusty shelf in my soul for all of those years had a purpose. I have a purpose. I am not an accountant. I am not a teacher. I am not a scientist. I am a writer. I own that title proudly. I pray that something I write, a blog a social media post or a book will flick the switch for others to finally have the confidence, the courage to run after their dreams and begin to live their real true life just like me. This real life is so amazing that I want everyone to experience it for themselves. Yes, it is just that good. To be totally honest, I started this journey wanting to be a rich and famous author. Hey, I’m human and the mom of a hungry seventeen year-old son. However, somewhere along my journey, I made a right turn and my goals changed and so did the way I see riches. My life has become more about encouraging others, giving to our future and healing our families by writing what is true. Truth is, holding the payment in the palm of my hand for the purchase of one of my books just doesn’t compare to how rewarded I feel when someone says, "Because you did, I think I can." When people find the inspiration in me to go and really live, I’m good. If your dream is to write a book, a screenplay or start your own blog, I say go do it. 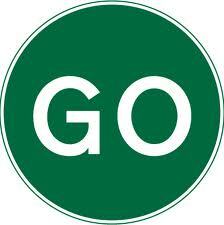 GO LIVE! Your readers are waiting for you and have no fear, if you keep living (writing) they will find (read) you. 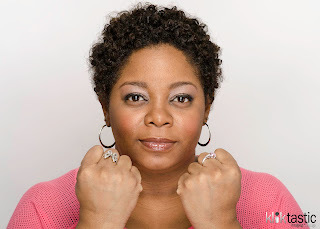 Award winning author, Nakia R. Laushaul resides in Houston, Texas with her lovable teenage son. She is an inspirational poet, motivational speaker, novelist and entrepreneur. She is the CEO and chief designer of a typesetting and interior book design firm, A Reader’s Perspective. 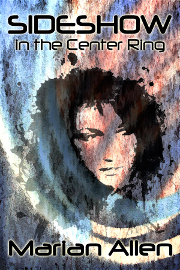 Her debut novel, RUNNING FROM SOLACE, is the 2011 Best Books Award Winner and a 2012 Next Generation Indie Book Award Finalist. She recently penned a romantic and honest novella; CHASITY RULES (released July 2013) Nakia truly believes that by doing what you love, you become happy! She hopes that you will find your happiness. For more information visit her website: www.NakiaRLaushaul.com. 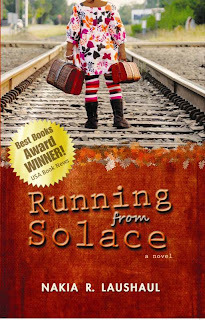 This week (8/26/13-9/1/13)only, her award-winning novel, RUNNING FROM SOLACE is 50% off! After reading Marian Allen's latest post and the insightful comments of readers, it's clear that the struggle to find a workable balance between writing and promotion is always a challenge. I'm hoping that this week's post will help authors more efficiently and effectively. On the other hand, it might just make you groan as you realize how many promotion opportunities are out there, and what you can or should be doing. Anyhow, I came across a great post on GalleyCat blog this week, listing 15 sites where you can promote your book for free. As the blog notes, a lot of these sites came from Kindleboards, which is a great place for ebook authors to promote their work, share experiences, and learn. Here is GalleyCat’s list. They provide a link to every site, and I’ve listed GalleyCat’s link below. As it turns out, I’ve only used three of these opportunities. The list looks daunting, but if you pace yourself, you can probably have signed up with several of them within a week or two. It might be not a bad investment of your time. Having said that, don’t completely rule out paid promotion either. A number of authors are reporting great success with a site called BookBub. They’re using BookBub to promote the free days offered on Kindle’s Select Program. (You get five in all, but can divide them up.) BookBub charges a fair bit of money (over $200), however, this site has enough klout to help get your ebook in the top 100 list. Authors are reporting that signing up with BookBub has gained them 40,000 downloads over a three-day period, which has resulted in sales of other books in their series. I hear that people are making their money back and then some, but this of course won’t be the case for everyone. It depends on how strong your brand is, what other promotion efforts you’re doing, and the genre you’re writing in. As I’ve written before, Romance does sell well. The title of today's blog is a word I invented after having read Debra Purdy Kong's cogent post on Sunday, Floundering in Reality. Cartbeforethehorseification is the act of putting the cart before the horse. An example would be concentrating on building a platform before having written a book. "Everybody" -- meaning some people -- tell writers that they have to have their marketing plan in place before they publish. This, I maintain, is a far cry from crafting and putting into play a marketing plan before having written. There's no harm, and possibly a deal of good, to being active on social networks, with a focus on readers/writers/agents/publishers of the sort of work one does or intends to do. Same goes for setting up a blog to chronicle one's journey through the writing/publishing/marketing maze. But the point is, the point is, the point is to write. I've read some books lately that were almost really good books. They weren't really good books, because they weren't really ready for publication. They were almost ready. One good thing about rejection: It makes one consider and reconsider one's works and words. It makes one doubt oneself, and this is not necessarily A Bad Thing. Obsessing about one's writing can paralyze the process, but fighting through that paralysis, putting one's strength into one's writing is what writing is about. And well-crafted writing is far more satisfying to the reader than a well-run marketing campaign. Am I talking about buggy-whips here? What do you think? The author of this piece, Brian Feinblum, (he’s chief marketing officer for a large book promotions firm) states that many authors simply aren’t being realistic in their expectations. He poses some really good questions authors should ask themselves, such as how good is your book compared with others, how unique is your viewpoint, is the timing right, and are you willing to pay handsomely for a good publicist? Keep in mind that Feinblum’s addressing traditionally published authors, however, self-publishers should be asking themselves these questions too. Clearly, these are questions that few authors will be able to answer realistically. Feinblum also says that many authors start promoting too late, or do too little, or don’t know how (or perhaps can’t afford) to hire the right publicist. He points out that the media doesn’t help authors stay realistic when someone’s silly video propels them into stardom overnight, however he does put authors’ frequent dissatisfaction squarely on their shoulders. So, here’s the thing: I could list links to good articles on marketing (some with conflicting opinions), but Feinblum’s blog makes me wonder if all the tips and articles in the world will help if authors refuse to face reality about our their books in the first place. Yet, here’s another side of the coin. There are more than a handful of self-published genre authors (you can find some of them at the Writers’ Café on Kindleboards.com), who are doing just fine. Not all have fame and fortune yet, but their royalties are paying their bills and these folks are developing a following. They’re also writing a lot. I’m trying to make sense of all the information I read each week, to put some perspective on the constant bombardment of diverse opinions and strategies about the road to fame and fortune. But at the end of the day, I think Joe Konrath was right when he once said, who the hell knows which books will become blockbusters and turn authors into household names? It’s still the biggest mystery in the publishing biz today. Help make CHILDREN OF THE FOG a New York Times or USA Today bestseller. 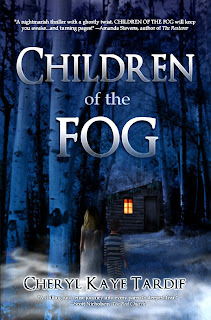 Help make CHILDREN OF THE FOG a New York Times or USA Today bestseller. I'm enlisting your help to achieve one of my biggest dreams--a major bestsellers list. 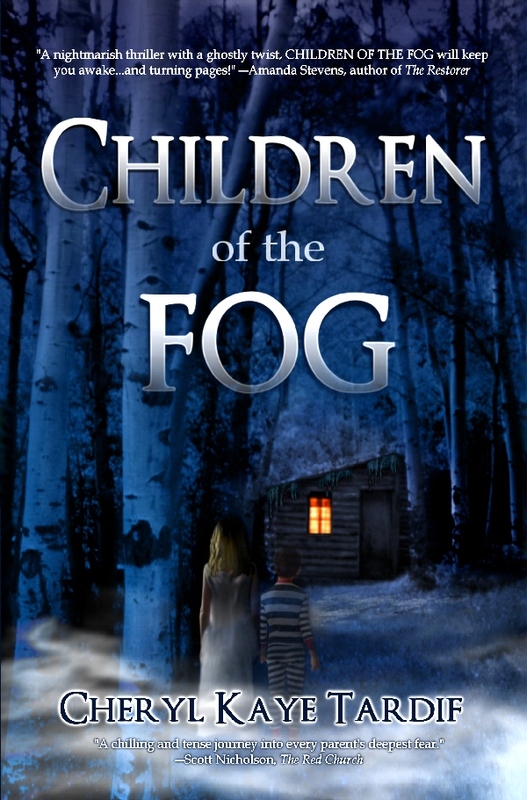 In March 2012, CHILDREN OF THE FOG just missed out on the USA Today list. Instead it reached #4 on Amazon.com, out of nearly 2 million titles. From August 12-18, I'll be striving to sell tens of thousands of copies of CHILDREN OF THE FOG, and I need your help getting the word out. And I'll be giving away lots of prizes as a thank you! I won't be asking for your first-born child, just for your help in spreading the word. Share my FB posts, RT my tweets, whatever you can do to help me get the word out will be greatly appreciated. And you can even join my CHILDREN OF THE FOG Army -https://www.facebook.com/events/691807374167668/ where you'll find ready-made tweets you can send out. Will you join us? How are You Coping With Change? This week, I read two insightful blogs that really struck home. As someone who’s been writing and publishing for thirty years (starting with short fiction), I’ve seen many changes and heaven knows they’re speeding up. Back in the day, I used to submit a short story with, a self-addressed stamped envelope, to a magazine editor, and wait and wait. If I was lucky (and I often wasn’t) they’d send a note back, sometimes with a contract, agreeing to publish the piece. Now everything is submitted via email and payment comes through PayPal. It’s often a faster, more efficient way of doing business, although not always. When I first self-published Taxed to Death in 1995, the Chapters/Indigo chain welcomed my book and my small indie distributor. I also sold books on consignment through twenty different stores in BC’s lower mainland I personally visited. By the time Fatal Encryption came out in 2008, 95% of the indie stores were gone and Chapters was no longer doing business with indie authors, except to occasionally permit a meet ‘n greet to sell books on consignment. Even now, I’m told that many of the stores are less friendly to indie authors than they once were. Of course, I’m not the only one to experience drastic changes. A recent blog by Kristine Kathryn Rusch is about her struggles to keep up with the constant upheaval in the publishing biz. She announced that her last traditionally published book has just been released, and that she’s done with traditional publishers. She lists some interesting markers that many of us once used to define success: selling a short story, selling a novel, hiring an agent, landing on a bestsellers’ list, etc. but she says those markers have changed, and I agree. Bestsellers’ lists are skewed and some self-publishers are making more money than their traditionally published counterparts. And is a well received book one that’s had 50,000 free downloads and 500 sales, or 5,000 downloads, but 1,000 sales? How does one even define success anymore? Another interesting blog from the Bookseller discusses notable changes that writer Jude Rogers has also experienced in England. Ten years ago, she and a friend started a magazine called Smoke: A London Peculiar, and, after going door to door to bookshops, they were selling 5,000 copies in over 80 London shops by the third issue. A decade later, they’re releasing their first Smoke book and now realize that the marketing world they knew is gone. Distribution is now centralized and the personal touch that made the magazine successful is gone. Worse, the personal touch with booksellers isn’t even welcome. How sad is that? I strongly encourage you to read both blogs because they provide great information and analysis of their experiences in today’s book industry. Be prepared, though, you might need a painkiller, or at least a very strong drink, by the time you’ve finished reading. I came across an interesting survey taken from June 1st to 30th, and conducted by Marie Force, owner of E-book Formatting Fairies. Marie asked 44 questions of nearly 3,000 readers about their book buying habits. Some of her results were a little surprising because they contradict what I’ve read from other sources. What isn’t surprising, though, was that 77% of readers preferred e-books compared to 52% preferring print. The survey also showed a fair amount of crossover, in that readers often bought both formats and quite possibly more than one version of a favorite book or author. Also not surprising is that 80% of e-books are bought from Amazon with Barnes & Noble scoring second, but only at 23%. Kobo wasn’t mentioned at all, however, if this American-based survey was presented to Canadian e-book readers, I think the results would be different. I have to tell you that Marie Force writes contemporary romance and romantic suspense, and likely acquired participants through her sources. So, when 81% of respondents indicated that their favorite e-book genre is romance, you shouldn’t be surprised. Mysteries came in second, but at only 5%, and science fiction and fantasy weren’t even mentioned. Now, here’s where things get interesting, and I say this, because I’ve read a lot of blogs and forum discussions lately which state that e-book sales are down in general because readers are less likely to invest time and money in independently published e-books than they used to. Some say that the e-book market is so over-saturated that readers are less inclined to spend time sifting through increasingly long lists of freebies and bargain-priced books. Others maintain that too many indie books are so poorly written and edited that they aren’t worth looking at in the first place. Given those opinions, it was a surprise to read that 64% of respondents said they paid no attention to who published a book, and didn’t really care. Another 33% said they paid some attention, and only 4% said that the publisher was important. Having said this, the survey also showed that 95% of readers preferred to buy a book from an indie author who was known to them. There are many more survey results in the piece, plus conclusions drawn at the end. Surveys portray an interesting snapshot of reading and book buying habits, however, we need to keep in mind that the survey taker, respondents’ demographics, and phrasing of questions are just three factors that affect results. While Marie’s survey will be of special interest to romance writers and readers, I would love to see one for mystery readers. If you’ve seen any, let me know!